Synopsis: The perennial New York Times bestselling author returns with an emotionally resonant novel that illuminates the power of friendship in women’s lives, and is filled with her trademark wit, poignant and timely themes, sassy, flesh-and-blood characters, and the steamy Southern atmosphere and beauty of her beloved Carolina Lowcountry. 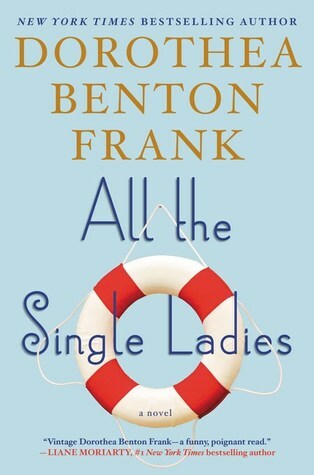 My take: I love how Dorothea Benton Frank tells a story. I’ve read a handful of her books and am so happy there are so many more to read. She makes me laugh as well as sympathize with her characters’ dilemmas. The ladies of ALL THE SINGLE LADIES are of a certain age (40s and 50s) and seem to be happy (or maybe resigned to) where life has taken them. At any rate, they’re used to being single and fending for themselves. When the friend who brought them all together dies and leaves her estate to one of the women they are faced with a mystery. As they try to figure things out life brings new people into their lives. The supporting characters are, for the most part, completely charming. They add to the warmth, tension, and emotion of the novel. The ladies find that true friends will get you through just about anything life throws at you. And a sense of humor and an open heart make the road easier. I loved the novel and look forward to the author’s next book. I also listened (used an audible credit so I could listen when I walked). The narration by Robin Miles was so enjoyable. Her performance enhanced the book for me.